Saudi Crown Prince Mohammed bin Salman arrived in Kuwait on Sunday, state media reported, amid expectation that he will discuss oil supplies and a Kuwaiti mediation effort to resolve Saudi Arabia's conflict with Qatar. Prince Mohammed will hold talks with Kuwaiti Emir Sheikh Sabah al-Ahmad al-Jaber al-Sabah, state news agency KUNA reported. The Saudi prince is expected to discuss the resumption of oil output from a neutral zone which Saudi Arabia shares with Kuwait, a source familiar with the matter told Reuters. 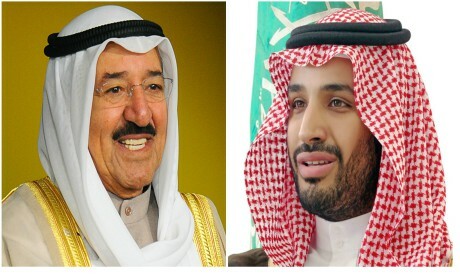 He will be accompanied by Energy Minister Khalid al-Falih during his trip to Kuwait, two separate sources said. A Gulf Arab official told Reuters earlier that the dispute with Qatar would also be on the agenda. Saudi Arabia, the United Arab Emirates, Bahrain and Egypt have imposed sanctions on Qatar accusing it of cosying up to Iran - their regional arch rival - and supporting terrorism. Doha denies the accusations. Kuwaiti mediation efforts have failed so far to end the dispute.